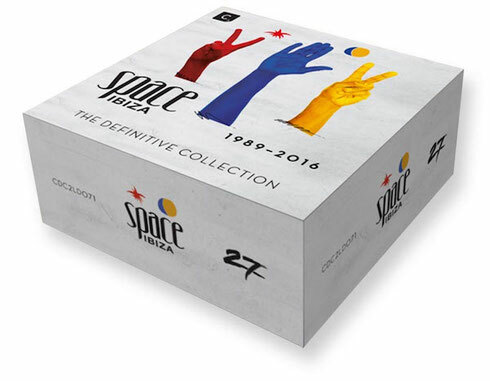 Space Ibiza gets set to release 'Space Ibiza: 1989 - 2016 - The Definitive Collection'. This exclusive and very limited special edition box set houses every compilation and mix CD from the club's compilation series, each in its own individually designed CD wallet, with 10 years of dance music spread across 23 historic CDs. Selections and mixes come artists such as Carl Cox, Kevin Saunderson, Pleasurekraft, Technasia, Erick Morillo, Edu Imbernon, Eli & Fur, Mark Brown, Pig&Dan, Giorgio Moroder and many more. The box houses every mix album from years 2009 to 2016 with hundreds of tracks from a huge collection of possibly some of the biggest house, tech house and techno producers in the world. There is also a 32-page booklet included and it’s your opportunity to own a piece of Space history, a true reflection of 27 years of house music heritage. It’s a strictly limited edition, numbered 1 – 1000 and it out 16 December. Check the official Space Ibiza live interview here, recorded at Facebook’s headquarters in London, which features Erick Morillo from Subliminal Records and Mark Brown from Cr2 Records.